Do you find yourself leaving your sensitive files unprotected because you're afraid of messing up with encryption? That if you ever encrypted a file, it would require jumping through a lot of hoops, with the end result being an encrypted file that you can't unlock? Put those worries to rest, because today's discount software promotion brings encryption that's easy enough for anyone to use - it's Kryptel Standard! Kryptel Standard offers the ultimate data protection using encryption, with the ability to encrypt a file or folder with a single click. After that, your files are part of an impenetrable fortress! Actually, it's an encrypted container, but still! Kryptel Standard lets you decrypt everything at once, or just a few files at a time, and comes with a unique browser that lets you browse and view the contents of any encrypted container. The encryption comes in the form of the latest NIST-Approved Advanced Encryption Standard, as well as multiple additional ciphers for advanced users. 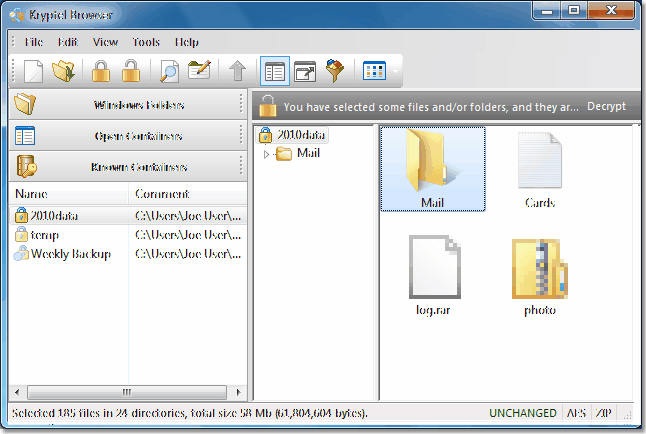 You can even use Kryptel Standard to scan your hard drive for certain file types and encrypt each one as it goes. Plus, Kryptel Standard is so small, you can run it from a USB flash stick for protection on-the-go! Several safeguards ensure that you'll be able to decrypt your files and folders when you need to. Whenever Kryptel Standard performs encryption, it performs a verification step to ensure that the file can be decrypted, and the whole process is designed in such a way as to allow you to retrieve your data even if the container is corrupted or your system crashes during encryption. After you purchase Kryptel Standard it may be used indefinitely. Kryptel Standard is licensed per user, so if more people are going to use Kryptel Standard you will need to purchase additional copies. Each license allows installation on all owned computers, but Kryptel Standard may not be used at exactly the same time on each of them. Upgrades to future versions of the software will be free for 1 month. For versions after that, upgrades will require additional payment, which will be discounted. ben User i've been using kryptel since sept. 2014. i love it. i encrypt all my passwords and identification files just in case... after trying other encryption programs that didn't work 4 me. i have the encrypted files on dvd, external hard drive, thecloud and pen drive.i find if i rar the encrypted files than copy to a dvd the transfer speed is greater. u just have to remember the password. Bob Longo Is it possible to combine the Kryptel special pricing along with Silver Key Bundle and receive a one time promotional pricing? Should I contact customer service directly to see if this possible. Thank you. John Hood What version please? Mappi75 How does it compare to Kruptos 2 Pro ? The features look very similar, but you need Kryptel + Silver Key to have the same features like Kruptos 2 offers!? PortablesFan The "Fine Print" here says that there is support and updates included for only 1 month. Isn't that supposed to be 12 months, as normally stated in their EULA? Gumersindo User Same question as "PortablesFan": "Fine Print" here says that there is support and updates included for only 1 month. Isn't that supposed to be 12 months, as normally stated in their EULA? Please advise as this pulls down the discount benefit. richard User Can someone please confirm that support and updates are included for 12 months as stated in the EULA and not 1 month as stated in the fine print here. The EULA makes more sense and should be the authority, but confirmation would be helpful. richard User According to the fine print buyer gets 1 month of support. "Inv Softworks will provide you with email Support and Maintenance Services for a period of 12 months from the purchase date, provided however that you may extend the Support and Maintenance Services, as available, by paying the appropriate fees to Inv Softworks"
It looks like after a month an email question/answer would bring the total cost to about the full price. I don't think this was intended. I hope that the sale can be extended to allow clarification so that we can buy with a clear understanding of the terms. This would be my first try with encryption and I think it would be a good choice. Your license is not time-limited and will never expire. It also includes one year Updates and Support subscription. 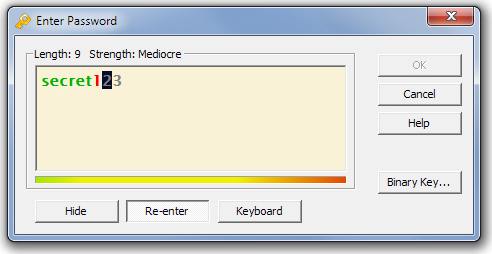 Petr Not having the program to decrypt may be a problem for my work-flow. 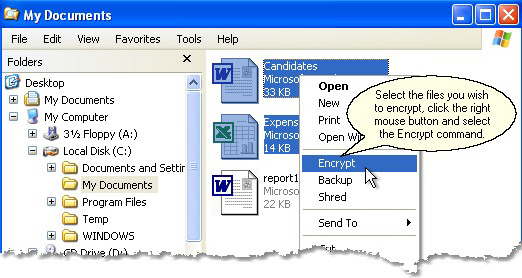 Can files encrypted by Kryptel be unencrypted with the right password using a WinZIP or WinRAR program?